Professioneel anti-aging cosmeticum voor de 50+ huid met een optimale balans van beschermende, hydraterende en huidverzorgende plantaardige ingrediënten. Gebruik: Licht inmasseren rond de ogen, mond en andere delicate plaatsen op het gelaat. ENG: Professional anti-aging cosmetic for the 50+ skin with an optimal balance of protective, moisturizing and nourishing herbal ingredients. FR: Cosmétique anti-âge professionnel pour la peau 50+ avec un équilibre optimal d’ingrédients végétaux protecteurs, hydratants et nourrissants. 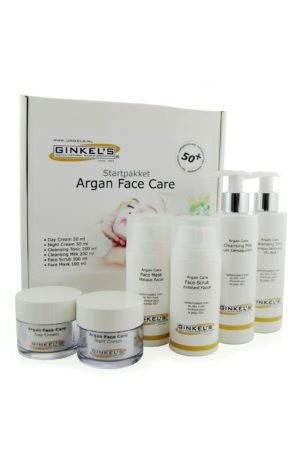 DE: Professionelle Anti-Aging-Kosmetik für die Haut ab 50+ mit einer optimalen Balance aus schützenden, feuchtigkeits-spendenden und pflegenden pflanzlichen Inhaltsstoffen. 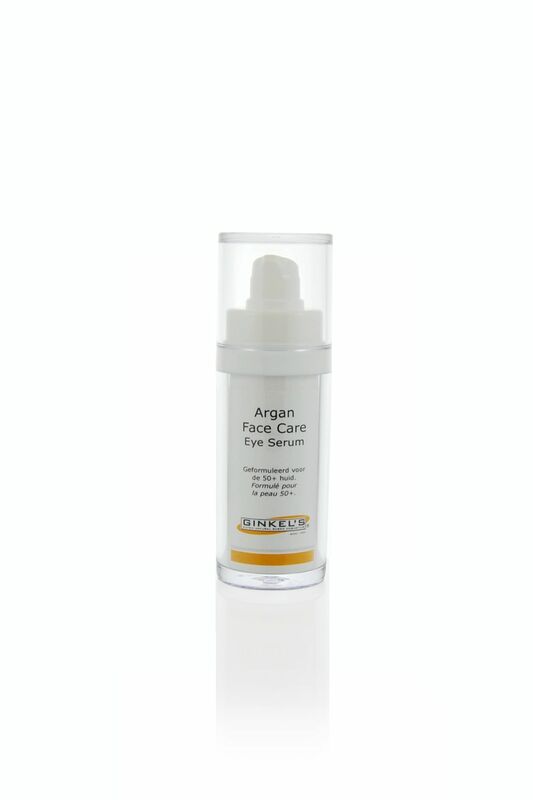 Ingredients: Aqua, Ethylhexyl Stearate, Glycerin, Butyrospermum Parkii Butter, Glyceryl Stearate, Cetearyl Alcohol, Phenoxyethanol, Sodium Cetearyl Sulfate, Argania Spinosa Kernel Oil, Tocopheryl Acetate, Xanthan Gum, Macrocystis Pyrifera (kelp) Extract, Ethylhexylglycerin, Parfum, Hydrolyzed Wheat Protein, Tocopherol, Pvp, Pentylene Glycol, Helianthus Annuus Seed Oil, Serine, Urea, Lactic Acid, Sorbitol, Sodium Lactate, Sodium Hydroxide, Sodium Chloride, Hexyl Cinnamal, Citronellol, Geraniol, Benzyl Salicylate, Butylphenyl Methylpropional, Linalool, Allantoin. 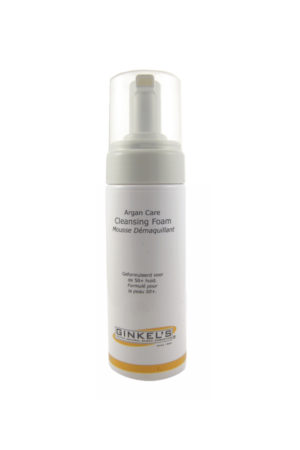 Ginkel’s Argan Face Care – Face Scrub 300 ml. 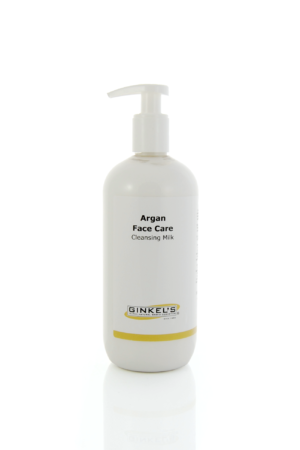 Ginkel’s Argan Face Care – Cleansing Milk 500 ml.